Searching for a one-of-a-kind gift? 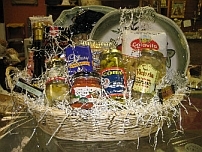 Merante’s creates custom gift baskets that will wow any recipient, and fit any budget. Visit our store, or call for more ideas and a custom consultation. L ooking for the perfect gift basket? At Merante’s, we work within customer specifications to provide elegant gifts packed to the brim with quality products. 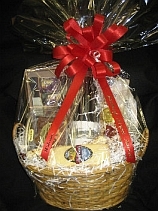 We will be pleased to create individual baskets or fulfill a large corporate order. Please call to arrange your specialty basket today!